Peeling Soft Boiled eggs will come to you easily once you have read the information in this post. If you enjoy eating boiled eggs you have probably found that it’s fairly tricky peeling soft boiled eggs perfectly every time. Personally I always enjoy eating eggs more when the peel comes off easily. And appearance can count especially if your cooking a dish that includes boiled eggs for family and friends then you want it to look as amazing as possible. So before I looked into the various methods you could use to make peel a boiled egg easier I wanted to find out whether there was reason that boiled eggs stick to their shells. It took some research to find the answer but I did. It seems that the issued is related to do the freshness of the egg and a protein found in the egg white. So you might ask why are fresher eggs harder to peel? Here is the science bit. 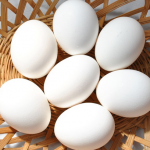 It seems it comes down to the fact that fresher eggs have a the lower pH and so are more acidic. 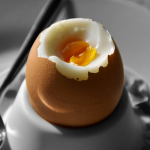 The acidity of the egg means that the protein in the egg white called albumen will stick strongly with the inner membrane of the egg shell rather then itself. As you boil an egg it coagulates, the egg white begins becoming more solid and starts to get a stronger bond to the membrane. 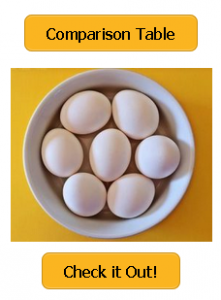 Which Eggs are Easier to Peel? To improve your changes of perfectly peeling an egg don’t use a fresh egg instead use one that its a few days old since the pH within egg whites will rise as an egg ages so it will not stick as strongly to the inner membrane. If you do use fresh eggs then a tip that might help to peel them easily is to place the boiled eggs in ice cold water for about 15 minutes. This technique revolves around reducing the acidity within the egg. 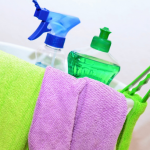 A common ingredient used to do this is Baking Soda. All you would need to do is add about a 1/2 teaspoon baking soda for every 2 pints of water. 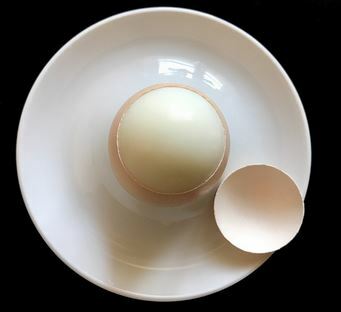 Although the egg shell is porous you may want to use a pin to prick a hole in the shell to allow the baking to to reach the egg white quickly. As mentioned earlier it will be easier to peel soft/hard boiled eggs when the less fresher they are. You might be asking yourself “how do you I workout how fresh they are?” You could use the egg float test or use the “Pack date” on the egg carton. The pack date on the carton is a 3 digit code that appears near the used by date. 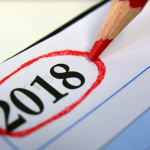 Here is how the Pack Date code works; If the egg were packed on the 1st January then the code would read 001, if the code read 060 then the Pack date would be the 1st March with the last date of the year having the code 365. For a list of codes checkout this chart. With this method you will need to heat water before placing eggs you want to boil. In this scenario by placing the eggs in hot water they are cooked faster so the protein in the egg whites is restricted from reaching very high temperatures for a sustained period of time. This reduces the time the protein has to stick to the inner membrane. Steaming the eggs works on a similarly principle to placing them in hot water. When using steam to cook eggs the protein is not cooked continuously at a super high temperature for long making it less likely that the protein sticks to the inner membrane of the egg shell. When the eggs are boiled, immediately place them into cold water, preferably ice cold. This ensures the temperature of the egg drops quickly so they stop cooking anymore. Again the longer the eggs cook the higher the chance the proteins will become more sticky. With this tip simply place you boiled egg on a hard surface such as a chopping board. Then gently with the palms of your hands roll the boiled egg. This gentle rolling will lead to cracks appearing on the egg shell making it easier to peel.